Roku is an affordable video streaming device that you can connect to your TV. It is easy to get up and running and give access to quality content such as movies, TV shows, and sports. Roku TVs have the functionality of the Roku device directly built into them. In addition to paid content, Roku offers access to a sampling of free content. Channels like Crackle, Reuters TV, and Tubi TV will ensure that you are entertained even without paid subscriptions. If you wish to gain access to even more content, however, then you might want to consider running Kodi 17 on the Roku. Unfortunately, there is no official Kodi app available for the Roku, but you can use screen mirroring to cast Kodi to your TV with certain Roku devices. Stay tuned to find out how! Kodi is a free, open source media player application which was developed by the XBMC Foundation. It is available for a wide range of devices such as Windows and Mac computers, Android devices, iOS devices, Raspberry Pis, and many more. You can conveniently control Kodi with a remote control or gamepad to stream both audio and video from a variety of sources. Streaming content through some Kodi add-ons may not be allowed by some Internet Service Providers (ISPs). If this is the case, your ISP may seek to limit your internet access. This could happen either in the form of reduced internet speeds or, on the more extreme side of things, a complete termination of your connection. To prevent this, we recommend that you connect to a VPN. VPNs mask your online identity, making it appear that you are accessing the internet from a location other than where you actually are. In addition, VPNs allow access to geo-restricted content and also protect your online privacy. Streaming requires a lot of bandwidth which means that a resilient VPN provider is essential. IPVanish is our recommended option. It is a popular choice in the Kodi community that will meet the high demands of online streaming, in addition to providing you with a secure, private connection. From our tests, IPVanish works with all Kodi addons. However, if you desire another option, please feel free to check out our full list of recommended Kodi VPN services. 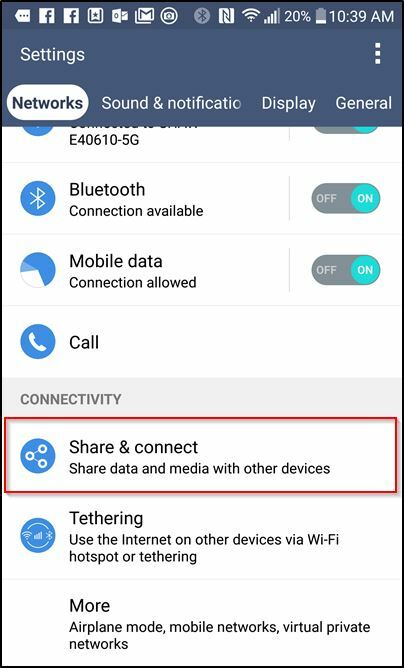 Please note that you will need to have your VPN installed on the device you are mirroring from. Deal alert: Our readers can save 60% on an annual IPVanish plan here. Comparitech does not condone or encourage any violation of copyright restrictions. Please consider the law, victims, and risks of piracy before downloading or streaming copyrighted material without permission. Kodi v17.3 “Krypton” is the latest stable version of Kodi available for download. Screen mirroring is currently the only way to get Kodi on Roku. This is because the Roku’s operating system and app policies prevent Kodi from being installed on the device. Roku also recently cracked down hard on private channels, so installing any channels outside of those officially offered through Roku’s app store has become nearly impossible. As such, you’ll need to use the screencasting option provided by your Roku, which lets you share your screen from many different devices onto your Roku. You will also need to ensure that the device you’re using has a compatible screen mirroring feature. Ensure that Enable screen mirroring is checked. Roku recommends that your Roku player and your phone or mobile device is connected to the same wireless network. 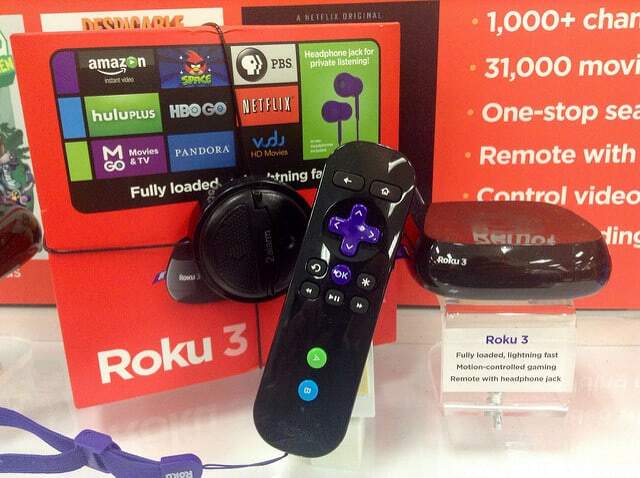 Visit Roku’s website in order to learn more about streaming from your device. The process of mirroring your device’s screen (also referred to as casting) differs between devices, but we will give a general overview of how it works on each platform. In all cases, it’s best to be connected to the same wireless network for the best results. 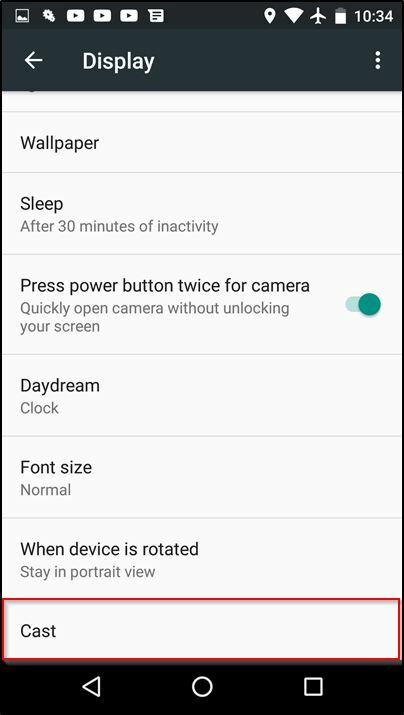 For example, take a look at what the screen mirroring option looks like on an LG G4 running Android 6.0. Also here is an example from an LG Nexus 5 running Android 6.0. On Windows Mobile devices, you will need to bring up your projection menu from the Settings menu. Select the project my screen option and you should be able to quickly get up and running from there. 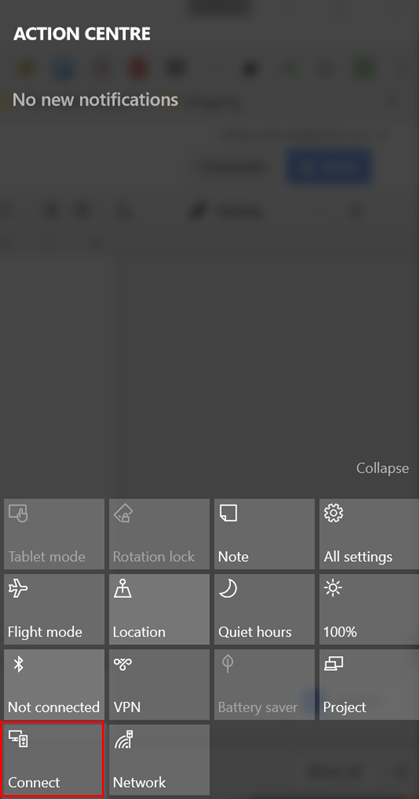 On Windows 10, the quickest way to get setup is to bring up the Action Center and select Connect. From there you should be able to select your Roku device. After you find the options corresponding to your device, search for your Roku device, connect to it and from there you will be able to enjoy Kodi! You can find out more about how to get setup on the Roku website. Please note that you will have the option of canceling incoming connections on your Roku if you wish to.